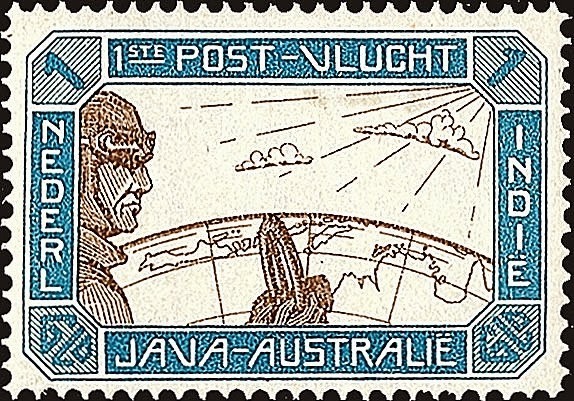 In 1931, the Netherlands Indies issued a 1 Gulden airmail stamp for use on covers flown on the first flight from Java to Australia (Scott #C13). 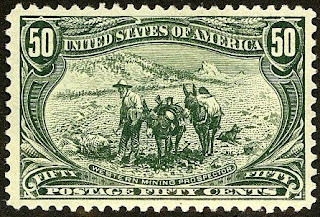 35,768 were issued, and Scott '14 prices the unused stamp at $11.00. 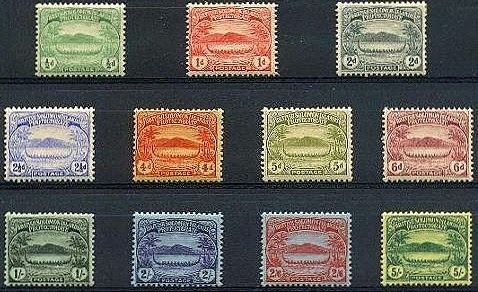 The stamp has multiple appeal among collectors of Netherlands and Colonies, Indonesia, and First Flight Cover collectors. In 1949, El Salvador issued a compound set of stamps celebrating the 75th Anniversary of the Universal Postal Union (Scott #613, C122-24). 25,000 sets were issued, and Scott '14 prices the unused set at $26.55 . The set represents an inexpensive bet on the economic growth of El Salvador. 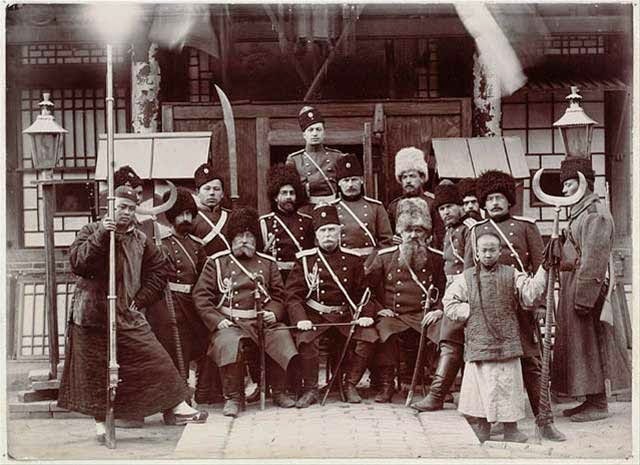 In the late 19th Century, Russians aimed for control over the Amur River for navigation, as well as the Chinese all-weather ports of Dairen and Port Arthur in the Liaodong peninsula. The rise of Japan as an Asian power provoked Russia's anxiety, especially in light of expanding Japanese influence in Korea. 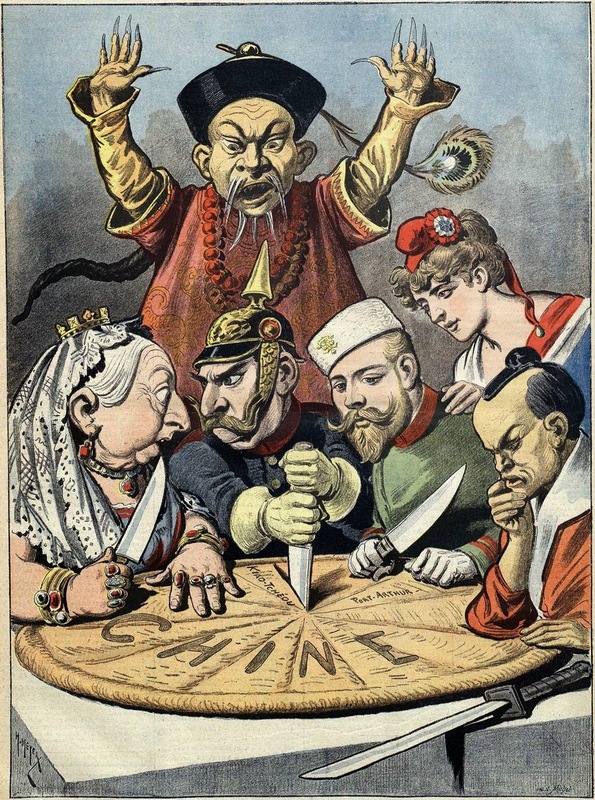 Following Japan's victory in the First Sino-Japanese War of 1895, the Triple Intervention of Russia, Germany and France forced Japan to return the territory won in Liaodong, leading to a de facto Sino-Russian alliance. However, local Chinese in Manchuria were incensed at these Russian advances and began to harass Russians and vandalize Russian installations, such as the Chinese Eastern Railway. In June 1900, the Chinese bombarded the town of Blagoveshchensk on the Russian side of the Amur, and in retaliation, the Russians massacred several thousand Chinese and Manchus in that town. The Czar's government used the pretext of Boxer Rebellion to move some 200,000 troops into the area to crush the Boxers, who retaliated by launching a guerrilla war against the Russians, which continued until their defeat by the Japanese in the Russo-Japanese War. 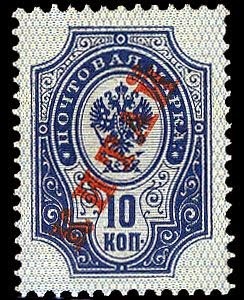 The Russians issued stamps for their post offices in China in 1899. These were Russian stamps overprinted with the word "KITAI" (Russian for "China") in Cyrillic script. The overprint was applied to all types of stamps up to 1916. Although the post offices had always accepted Chinese currency at par, a Chinese cent being considered equivalent to a kopeck, in 1917 the overprint was changed to clarify the situation, simply consisting of the value in Chinese money and using Latin letters. 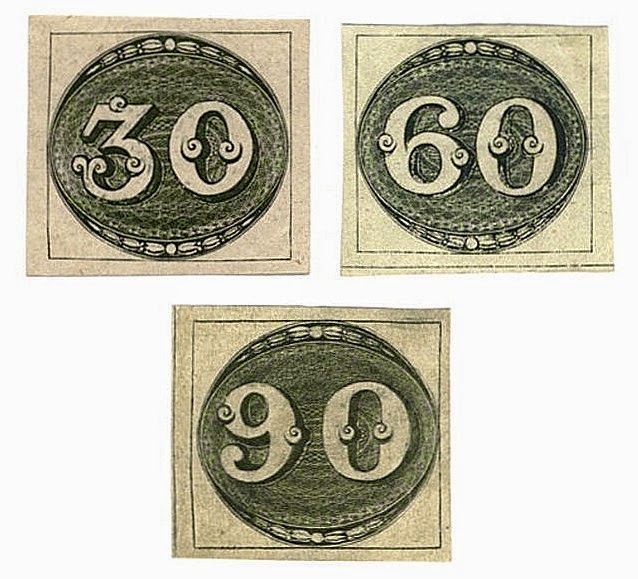 A later round of overprints, in 1920, saw little use, since all Russian post offices in China were closed in that year. I consider all better stamps of the various foreign offices in China to be long-term investments. As with all stamps issued by the colonial powers in China, the Russian Offices stamps have been neglected because the Chinese view them as shameful relics of that period of subjugation, which they are. Until reticence replaces resentment and demand for the Foreign Offices is boosted among Chinese collectors, the stamps' values will probably continue to increase steadily, based mostly on collector demand in Russia. In 1959, Iran issued a set of stamps celebrating the 40th anniversary of the International Labor Organization (I.L.O. ), an agency of the United Nations (Scott #1136-37). 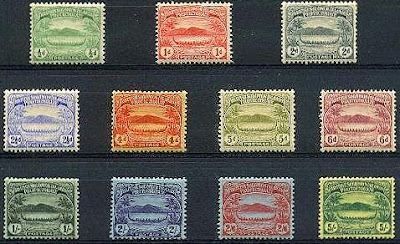 50,000 sets were issued, and Scott '14 prices the unused set at just $3.50. The set has appeal as a United Nations topical. I believe that the I.L.O. set is undervalued due to the unpopularity of Iran's stamps, a consequence of its pariah status. Currently, Iranian stamps of the pre-revolutionary period are primarily of interest to collectors among the Iranians living abroad, a relatively affluent group, of whom there are about 1.3 million. I'm initiating coverage of the Solomon Islands by recommending purchase of its 1908-11 War Canoe set (Scott #8-18). While I considered "beginning at the beginning" with the first set (Scott 1-7), which is also very scarce, excellent counterfeits exist of the first set (while they don't of the second), and it isn't expensive enough to make expertization worthwhile. 5,460 of the second War Canoes set were issued, and Scott '14 prices it unused at $ 272.- . The islands were a British protectorate until 1976, and early Solomon Islands issues appeal mainly to collectors of British Commonwealth as well as Australian collectors, because Australia has close ties to the Solomons. The later issues that are worth considering are mostly topicals. There are just over half a million Solomon Islanders, and the Islands' per-capita GDP of $600 ranks it as a lesser developed nation. More than 75% of its labor force is engaged in subsistence and fishing. The islands are rich in undeveloped mineral resources such as lead, zinc, nickel, and gold. Tourism, particularly diving, is an important service industry for Solomon Islands. Growth in that industry is hampered, however, by lack of infrastructure and transportation limitations. Over the last five years, annual GDP growth has averaged about 5%. I view the set as an inexpensive, conservative bet based on prospects for increased demand among British Commonwealth and Australian collectors.